The festival is August 18-19, 2018. Three-hour shifts are available to assist in presenting this event to the community. All volunteers will receive a t-shirt, bottled water and the opportunity to help put on this free public event in the community. 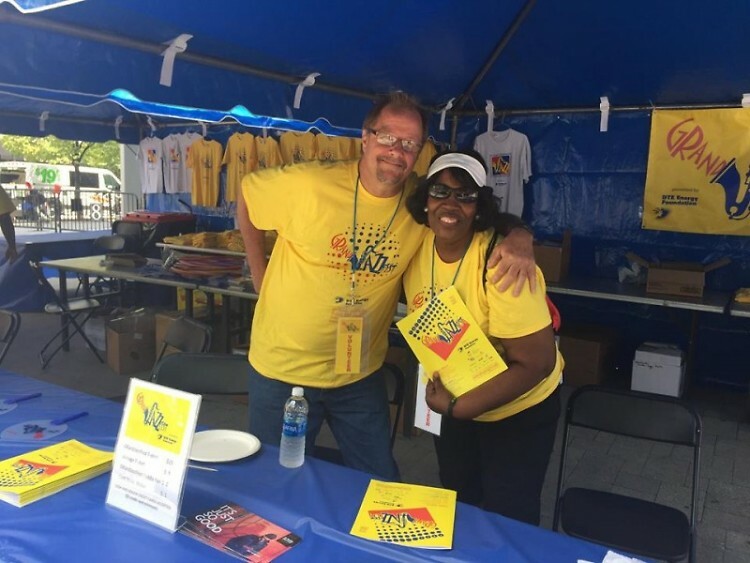 GRandJazzFest presented by the DTE Energy Foundation seeks volunteers to help at the festival August 18-19, 2018 at Rosa Parks Circle in downtown Grand Rapids. GRandJazzFest presented by the DTE Energy Foundation was founded in 2012 with the purpose of promoting and bringing awareness of jazz and related arts to new and diverse audiences. GRandJazzFest 2018 is a FREE weekend-long event that runs Saturday, Aug. 18, from noon until 10 p.m., and Sunday, Aug. 19, from 1 p.m. to 8 p.m., featuring notable jazz artists, including many who are Michigan-based.